Power Transmission Technology repair, manufacture, import and distribute earthmoving equipment and spares, specializing in driveline components, but we are not limited to any scope of repair work. 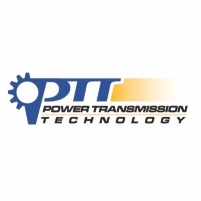 Power Transmission Technology was established in 2001. It was a follow up from years of experience in the mining and engineering industry. The name constitutes who we are and what we do, ” We keep your plant in motion”. Plant is a general term used for earthmoving, but if it turns we do it. We specialize in earthmoving with larger local South African brands, but we are not limited to these brands only. We also do industrial, commercial and mining gearboxes, Re engineering of parts and are importers of specialized parts. Our integrity is our focus and we deliver. We specialize in driveline components for heavy earthmoving equipment. Complete rebuild center for final drives, differentials, dropboxes and axles. Service is our main priority with minimal downtime to our clients. We offer service exchange components on some of our main line products. We are located near the Johannesburg International Airport which assists us with fast, convenient and reliable freight services for our national and international exports and imports. We have used and refurbished components at VERY competitive pricing.